Choose from wide range of personalized photo products, Photo Books, Canvas Prints, Calendars, Photo Mugs, Photo Magnets, Photo Prints and many more. 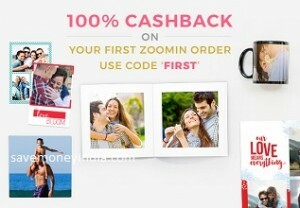 Cashback will be issud as Zoomin Rewards. Maximum Points will be 200. Point will be credited in 24-48 hours. • Offer is applicable only for Paytm new user on Zoomin i.e user who pays using paytm for the first time on Zoomin. • 100% Cashback when you pay using Paytm at Zoomin. • Maximum cashback is Rs. 100 per user during the offer period. • Offer is valid from 14th Aug to 31st Aug. Features Opt for either a 20 page or 32 page softcover book – one photo per page & Customise cover with a title for your story. • Save upto 40% on Father’s Day gifts. Apply coupon code during checkout to get the discount calculated. • Get additional 25% cashback when you pay using Amazon Pay. 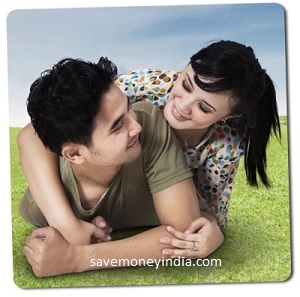 Maximum cashback under the offer is Rs. 100. Create your unique professional identity. Free shipping. 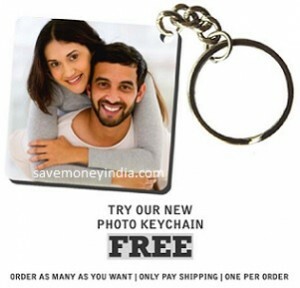 Features Upload any picture from your phone or laptop and have it converted into a funky keychain. Features Printed on professional quality photo paper using the best HD equipment in-house. Free shipping. Features Upload any picture from your phone or laptop and have it converted into a funky keychain! 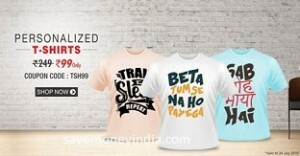 PrintLand is offering Personalized T-Shirts + Rs. 1 Cashback for Rs. 154. 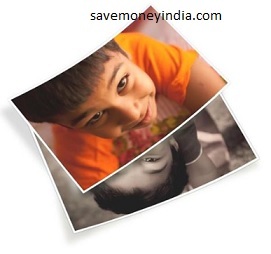 • 20 Photo Prints – 4X6 Size: Valid 7 days a week – 11:00AM to 9:00PM in Mumbai, Pune, Hyderabad, Bangalore, Cochin, Gurgaon (Ambience Mall). Valid 6 days a week (Not valid on Sunday) – 12:00 Noon to 7:00PM in the following stores in NCR: MG Road Metro Station, Cyber Hub, Kashmiri Gate Metro Station, Chattarpur Metro Station. 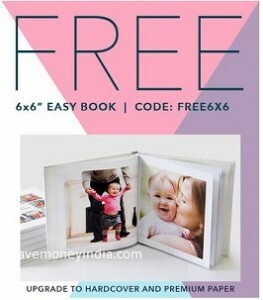 • 5 Collage Prints – 6X8 Size (Max 4 Images in 1 Collage): Valid 7 days a week – 11:00AM to 9:00PM in Mumbai, Pune, Hyderabad, Bangalore, Cochin, Gurgaon (Ambience Mall). Valid 6 days a week (Not valid on Sunday) – 12:00 Noon to 7:00PM in the following stores in NCR: MG Road Metro Station, Cyber Hub, Kashmiri Gate Metro Station, Chattarpur Metro Station. 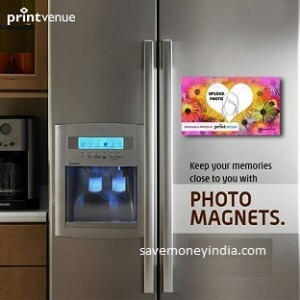 Features Stylize your fridge or metallic surfaces with magnets personalised with your own picture. 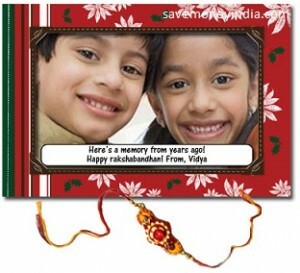 Features 9.5 x 9.5cm, self magnetised rubber & Personalised with picture. • Personalised Keychain: MDF Wood Personalised with one picture. • Personalised Name Badge: Plastic and metal Personalised with First Name and Descrption. Explore 500+ products with 50000+ templates to customize. Bored with those unfashionable mugs? 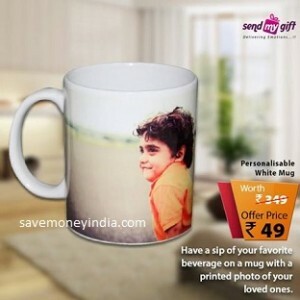 Sendmygift presents to you an amazing personalized mug where you can get your own design printed on it. 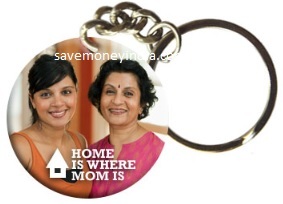 Upload any picture from your phone or laptop and have it converted into a funky keychain! Option to add a caption too! Personalised Keychains Rs. 49: Use Promo Code from Deals & Promotions page. Enter Promo Code & click Place Order. Discount applied in step Payment. 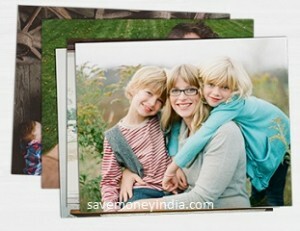 Features Holds 20 photos, one per page & Just right to showcase a Weekend getaway, Birthday party keepsake, Office party. 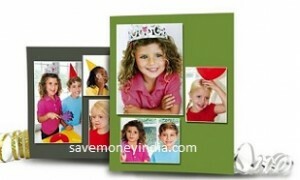 PrintVenue is offering Customized Photo Magnets for Rs. 55. Features Upload your picture and caption for the card and ExcitingLives will have it delivered along with a simple and elegant rakhi. 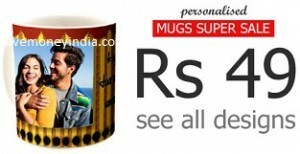 Use Promo Code from Super Mugs Sale page. Enter Promo Code & click Place Order. Features Make your best selfies jump out of your phone and stick with you in the real world! 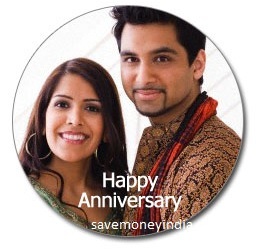 Convert your best pictures into magnets that you can stick to your fridge, work-space or any metallic surface and make your memories come alive! • Get Rs. 80 PayTm Cash on Zoomin App when you transact using PayTm Wallet. • Minimum transaction of Rs. 75 is required. Features The ZoomIn App is not limited to Photo Prints. Now get your favourite collage poster, colourful framed prints and canvases on your App.